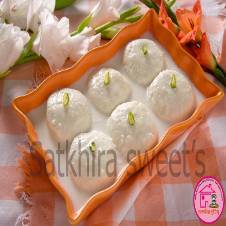 Rosmalai is the most famous sweet dessert in Bangladesh. Buy rosmalai online from the largest online shopping mall in Bangladesh, Ajkerdeal.com. Enjoy any celebration at home by ordering from online. Browse through our site for a splendid selection of your favorite sweets. Celebrate any festival season with family and friends with mouth-watering and delicious rosmalai. Enjoy any occasion with your favorite desserts.Order from online for the best quality rosmalai at the best price. They are ideal for the gift also. Now you don’t have to go anywhere for tasting your favorite sweets. You can now order your favorite sweets from online. Ajkerdeal.com providesrosmalai from the popular city. There is rosmalai from the famous city Comilla. We all know that Comilla is famous for rosmalai and Matreebhander is the best and oldest producer of rosmalai. Feel the original taste of rosmalai from Ajkerdeal.com. They are freshly made with no preservatives added for extra flavor. Find all your favorite sweet dishes online. 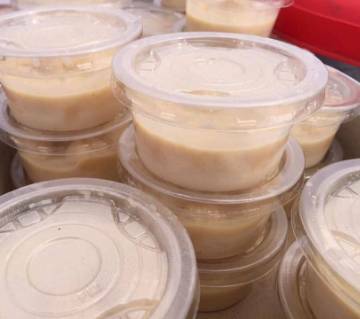 Ajkerdeal.com provides a wide variety of rosmalai for you to choose from. Browse through our site for rosmalai and enjoy a hassle-free online shopping experience with us. AjkerDeal offers a wide range of sweet collection on the site. You will find any kind of sweetmeat you like from our store. Just browse through the categories to check out the collection of our sweetmeat. Each and every type of sweets are good quality and taste really good. They are the tradition of our Bangladesh from all around the country. One type is different from others but all the types are tasty and food quality is superb. We offer home delivery service to our customer. So, why are you waiting, order now for your favorite sweetmeat? It will make you make your mouth watery. Happy shopping with us!